This procedure is a type of refractive surgery that uses lasers to correct astigmatism, farsightedness, and nearsightedness. 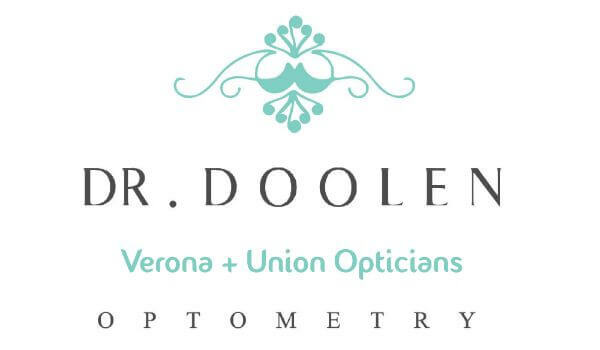 Dr. Doolen provides both pre and post operative LASIK care. To be eligible to receive this laser eye surgery, patients must be 18 years or older to ensure the eye has fully developed. Patients must have had no significant prescription changes for at least one year. Lastly, the patient must discontinue contact lens use at least one week prior to the preoperative exam. People choose LASIK because this procedure is moderately inexpensive, fast, and the recovery time is relatively brief. 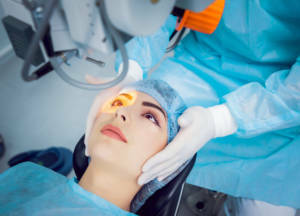 While the surgery was somewhat radical at the time of its creation, today, LASIK is a trusted procedure that millions of people have received nationwide. Many of them report long-term clearer vision without glasses or contacts. We mentioned how this surgical procedure is fast, but just how fast is it? For each eye, a surgeon generally requires 10 minutes to do the surgery. That means this procedure takes about 20 minutes total. You will be awake during this outpatient procedure. That said, you may receive a sedative to reduce discomfort. You will also receive numbing eye drops. LASIK is painless, and you won’t feel the lasers. One of the most appealing aspects of laser eye surgery is the brief recovery time. You only need about a day before your vision should be restored in one or both eyes. Immediately after the surgery, it’s recommended you rest, so you shouldn’t drive home yourself. In some patients, they’ve experienced better vision in as little as six or eight hours. For some, it takes longer than that, at least overnight. About a day or two after the surgery, you’ll have to return to your optometrist. He or she will inspect the eye(s) to see how it’s recovering after the procedure. Complications are rare, but they can happen, so a Streeterville optometrist is prioritizing your health with this appointment after the surgery. For many patients, they don’t have to take off work for very long after getting this procedure done. You may only have to miss a day or two (sometimes three in rare cases).